Cory Sandford (second from left), Adam Stanton (third from left) and Alex France (second from right) on the podium. Cory Sandford and Adam Stanton. 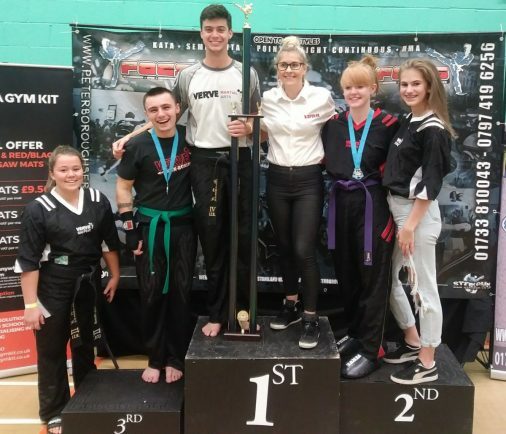 A TRIO of kickboxers from Verve’s Droitwich and Bromsgrove clubs claimed medals at the Open Championships in Peterborough. Alex France secured silver, Cory Sandford came away with a bronze and a silver while Adam Stanton claimed a silver and gold. For more information about martial arts classes call Carl on 07843 947736.